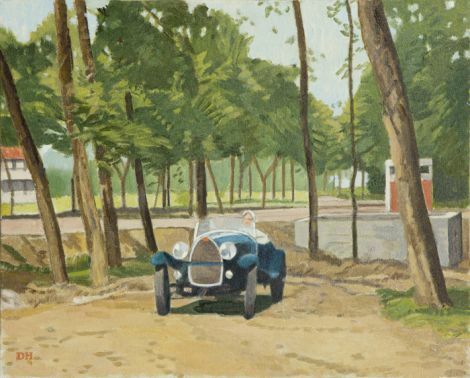 Duncan Hannah, “Bugatti, 1924, Cap d’Antibes”, 2011, oil on canvas, 16 x 20 in., DHA 98. The sort of people who venerate “The Great Gatsby” and the 1920s are teenagers, or adults whose circumstances never necessitated that they mature past the age of sixteen. Duncan Hannah was born in 1952 and, like a lot of scenesters, would prefer to dwell on a past he never experienced. This isn’t necessarily a bad thing. But, when looking at his paintings, it seems important to know they were made by a sixty year old man, not a pretty teenage girl living in Connecticut. Hannah’s paintings at the gallery Modernism. will never challenge you, but they are lovely and soothing. Hannah uses a lot of appropriated source material from films, and classic Penguin book covers, but his best mimicry is Edward Hopper’s style. Duncan Hannah, “The Three Graces”, 2012, oil on canvas, 14 x 18 in., DHA 93. 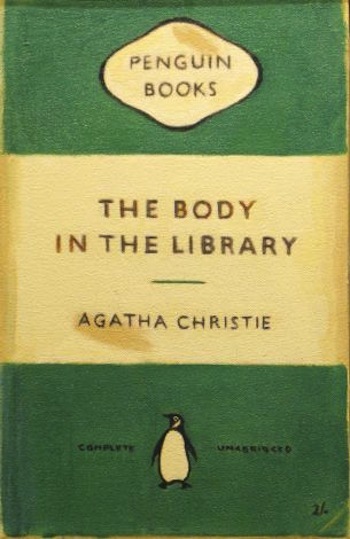 Duncan Hannah, “The Body in the Library”, 2008, oil on canvas, 14 x 9 in., DHA 78. 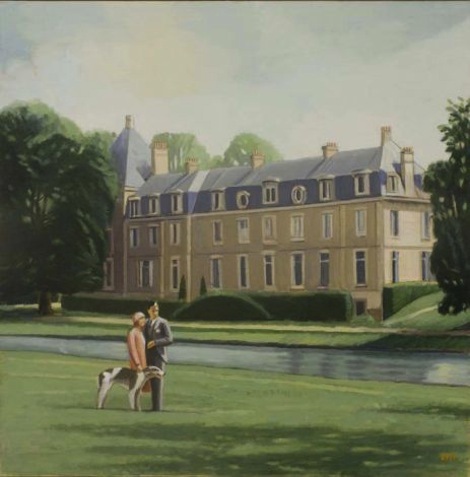 Duncan Hannah, “Prince & Princessa”, 2008, oil on canvas, 24 x 24 in., DHA 85. Duncan Hannah, “The Honey Trap”, 2010, oil on canvas, 18 x 14 in., DHA 86. “Duncan Hannah: The Infatuationist” is on view at Modernism through December 21. Tags: Duncan HannahEdward HopperKendall GeorgeModernism Inc.